It’s been a busy year in the tech entrepreneurship scene in Africa. Disrupt Africa looks back over the events of the year, reliving the highlights. The year kicked off with annual developer challenge the Vodafone AppStar competition, with Kenyan startup Guide Rig and Ghana’s Leti Arts emerging winners of the competition held in Bangalore, India; each winning the chance to showcase their innovation at the Mobile World Congress in Spain. Shortly thereafter, the inaugural World Bank-hosted Negawatt Challenge was announced, with African legs to be held in Kenya, Tanzania, and Ghana. A Tanzanian team went on to be crowned global winner. The global finals of startup pitching event Seedstars World came around in February, with seven African startups among the finalists from around the world pitching for US$500,000 in investment. Two African startups were given special awards, although a Philippines-based company took home the grand prize. In March, Nigerian billionaire Tony Elumelu announced the first 1,000 entrepreneurs selected to take part in the US$100 million Tony Elumelu Entrepreneurship Programme (TEEP) – a nine-month intensive programme. In May, 14 African companies in the fintech sector were among the 60 startups selected by Innotribe to pitch their ideas at one of three regional heats of the 2015 Startup Challenge; and the new edition of Seedstars World kicked off its African tour in Mozambique. June saw DEMO Africa host four “mini-events” around the continent, in a bid to encourage more applications; while Cape Town also hosted the World Economic Forum on Africa the same month, which featured much discussion of the continent’s entrepreneurial ecosystems. Perhaps Africa’s event of the year came in July, when the Global Entrepreneurship Summit (GES) was held in Kenya – the first time the event was hosted by an African country. US president Barack Obama also attended, the first time he visited his paternal homeland during his presidency. The African Business Angels Network (ABAN), a pan-African initiative to promote angel investing and boost early stage startups, announced a string of Angel Investor bootcamps billed for the second half of the year, taking place in Nairobi, Cape Town, and Lagos. In September, 30 startups took to the stage at the annual DEMO Africa held in Lagos, which also featured an Investor Summit hosted by ABAN. October saw Rwandan capital Kigali play host to the Transform Africa Summit, under the theme “Accelerating Digital Innovation”. Between October and November AMPION ran four venture buses around the continent, taking in 14 countries along the way. A winner was named for each of the North, East, West and Southern regions. Ghana played host to the inaugural Africa Technology Summit (ATS) – organised by the Meltwater Entrepreneurial School of Technology (MEST), in November, convening the corporate executives, entrepreneurs, investors and media who are shaping Africa’s tech ecosystem. Accra also saw investors descend in November for the third annual Angel Fair Africa, bringing together investors and entrepreneurs from within and outside Africa to “do deals”. Hot on the heels of ATS, AfricaCom took place in South Africa in November, featuring the first ever AHUB dedicated to entrepreneurs, and co-hosted by Disrupt Africa. April saw Morocco host the third Hub Africa conference, with entrepreneurs and investors invited to collaborate to build the investment ecosystem in Africa. The same month teams from Egypt and Morocco were named among the winners of the MIT Enterprise Forum Pan Arab competition organised by telecoms firm Zain. In May, Moroccan researcher Adnane Remmal was announced winner of the African Innovation Foundation (AIF) Innovation Prize for Africa (IPA), walking away with the US$100,000 grand prize. In November, the African Leadership Network (ALN) held its annual gathering in Morocco, marking the first time the event was held in North Africa. The BBC got the year off to an exciting start with BBC Connected Studio holding a hackathon in Kenyan capital Nairobi, as it looked to develop a chat app to extend the reach of the BBC World Service to young audiences in Africa. Two Kenyan ideas were chosen for piloting. Nairobi hosted a regional heat of the 1776 Challenge Cup – the sole African destination in the world-touring competition. Four Kenyan startups progressed to the global finals, as well as Strauss Energy which was named winner of the “People’s Choice” award. Kenyan startup Twiga Fruits went on to win the global finals, securing US$150,000 funding. 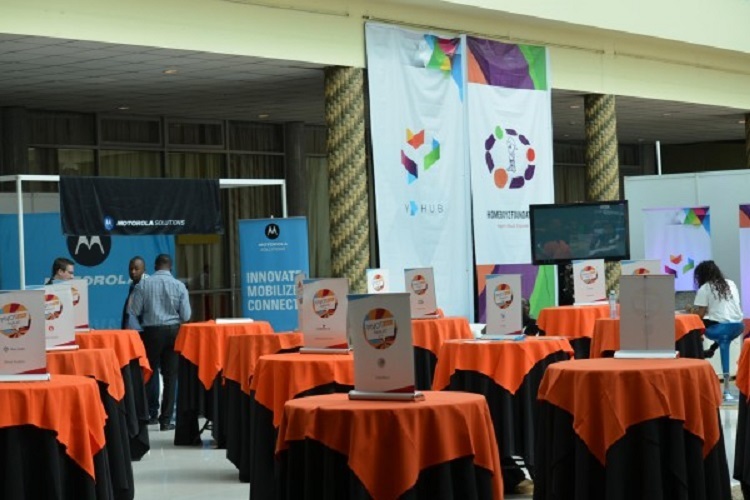 In April, international bank Citi held a leg of its Mobile Challenge in Nairobi, Kenya, with two Kenyan startups going on to win US$25,000 a piece; while the same month Totohealth was named winner of the Innovations Awards held at Connected East Africa. East AfricaCom took place in Nairobi in May, with MyRideKenya crowned the competition’s Startup of the Year. In June, the Kenyan branch of the Green Pioneer Accelerator programme closed its inaugural class with a Venture Forum, to which private stakeholders were invited. July saw 25 startups take to the stage at PIVOT East, pitching in the categories of finance, enterprise, society and governance, utilities, and entertainment. The finals of Safaricom’s third Appwiz Challenge took place in November, with 11 startups pitching to a panel of judges to win a KES1.5 million (US$14,680) grant. The new year was greeted with the news that Europe’s largest accelerator, Startupbootcamp, would be coming to South Africa to host two one-day “mini accelerator programmes”, held in Johannesburg and Cape Town. April saw the first Soweto Innovation Week launched, bringing together over 400 digital professionals and companies; as well as the BBC Connected Studio and BBC World Service holding a development studio in conjunction with RLabs in Cape Town, South Africa, at which one solution was selected for development. The Sparkup!Live event took place in May, involving three days of intense business grooming followed by a live audience investor pitch session, at which two startups were offered a total of US$150,000 investment. In July, Cape Town played host to Africa’s first co-working conference. February was a big month for West Africa. TechCamp took place, convening 100 entrepreneurs from across the region to engage in hands-on capacity building and networking with the region’s leading government, academic, civil society and business experts. San Francisco-based non-profit Hack for Big Choices visited Ghana in February, to host what it claimed to be West Africa’s biggest ever hackathon. Airtel Nigeria announced the first winners of its Catapult-a-Startup initiative, with seven startups taking home NGN1 million (US$5,000) in prize money. And Social Media Week returned to Lagos, Nigeria, for the third year running. What a month. In April, Mobile West Africa came to Lagos, where Ghanaian startup Suba was crowned winner of the app developer competition. July saw the first African version of global initiative StartupWeek take place in Lagos; and in September, NigeriaCom happened, with five startups pitching at the dedicated Entrepreneurs Hub.